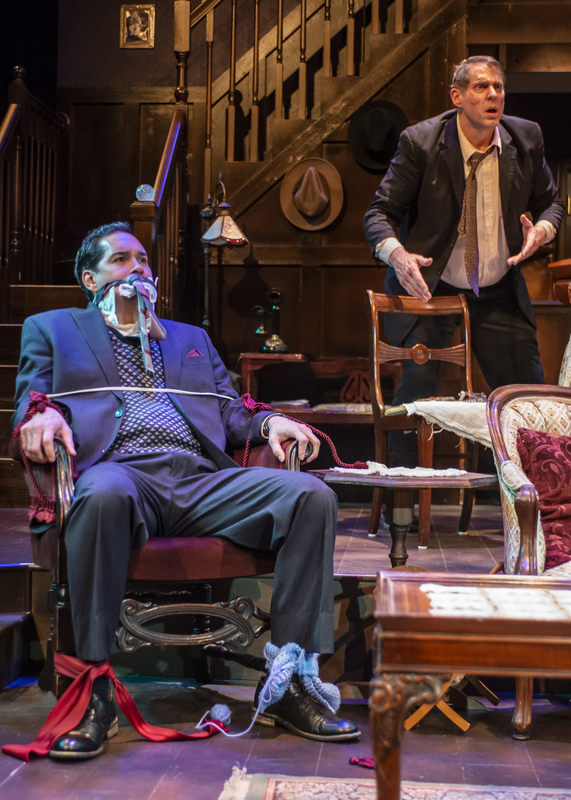 Taproot Theatre Company’s 2019 Jewell Mainstage Season: Family Ties opens with Joseph Kesselring’s killer Broadway comedy Arsenic and Old Lace (January 23 – March 2, 2019). Pam Nolte (TTC Co-Founder, Sweet Land and Relativity) and Kim Morris (Taproot Theatre’s Lady Windermere’s Fan, Room Service and Silent Sky) costar as the meddling matriarchs under the direction of Marianne Savell (Taproot Theatre’s Lady Windermere’s Fan) in her first solo directing gig on the Jewell Mainstage. Single tickets are available online at taproottheatre.org, by phone 206.781.9707 or in person at 204 N 85th St. Discounts are available for groups of 8 or more by calling 206.781.9708 or by visiting taproottheatre.org/group-sales. Mortimer’s a theatre critic; his brother thinks he’s Teddy Roosevelt and Aunts Abby and Martha are the most gracious killers. When Mortimer casually proposes to the pastor’s daughter he unwittingly opens the lid on buried family secrets. As strangers and cops keep calling, the Brewsters will go to hilarious lengths to protect the skeletons in the cellar. Savell’s extensive credits most recently include co-directing Lady Windermere’s Fan at Taproot Theatre and directing A Long Day’s Journey into the Night, Yours Isabel, King Lear and Backstage West at Actors Co-Op in Hollywood, CA. She also directed The (Improvised) Nutcracker, Twas the Night Before a Wonderful Christmas and Translations at Taproot. The cast also includes Gretchen Douma (Annex Theatre’s The Changeling) as Lieutenant Rooney, David Drummond (Taproot Theatre’s The God Game) as Jonathan Brewster, Stephen Grenley (Taproot Theatre’s Jeeves Intervenes) as Teddy Brewster, Bill Johns (Taproot Theatre’s Room Service) as Dr. Harper/Mr. Gibbs/Mr. Witherspoon, Elizabeth Keck (Taproot Theatre’s Baskerville: A Sherlock Holmes Mystery) as Elaine Harper, Tyler Todd Kimmel (Taproot Theatre’s Sweet Land) as Officer O’Hara, Kristen Natalia (Taproot Theatre’s Crowns) as Officer Brophy, Nolan Palmer (Taproot’s The Trial of Ebenezer Scrooge) as Dr. Einstein, Kevin Pitman (Taproot Theatre’s Camping with Henry and Tom) as Officer Klein and Richard Nguyen Sloniker (Taproot Theatre’s Lady Windermere’s Fan) as Mortimer Brewster.